Hello everybody! On these hot summer days, all that I have been craving is a nice juicy watermelon. Watermelon is one of my favorite things to enjoy in the summertime. Normally, I just eat it by itself but recently I decided to spice things up a little bit! This is my version of a watermelon pizza. I can honestly say that this is one of my favorite recipes that I have ever made and I am excited to share it with you! It is a super easy recipe too! 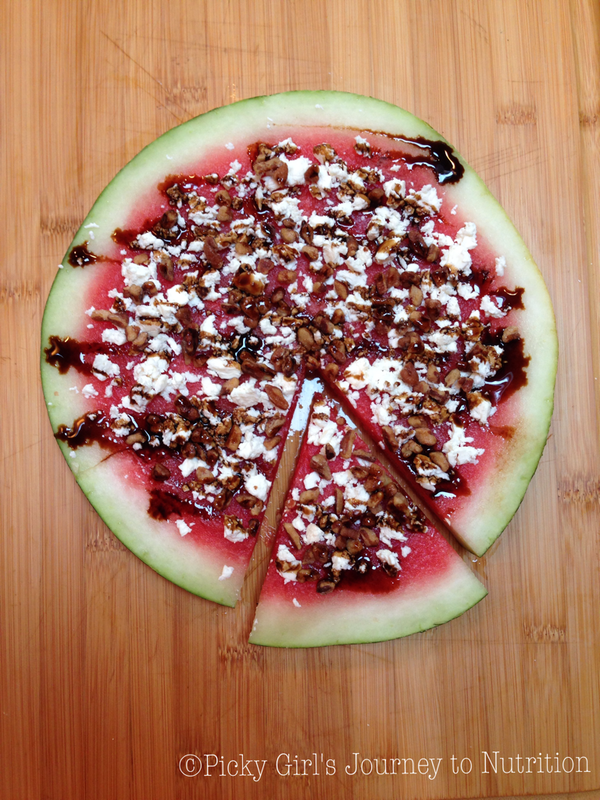 All you need is a watermelon, feta cheese, candied walnuts, and balsamic glaze. First, cut the watermelon (this is the trickiest part! ), then sprinkle all of the toppings on top, slice it like a pizza, and enjoy! I hope that you like this recipe as much as I do! Stay cool! Can’t wait for you to be home! The glaze is delicious, thank you! 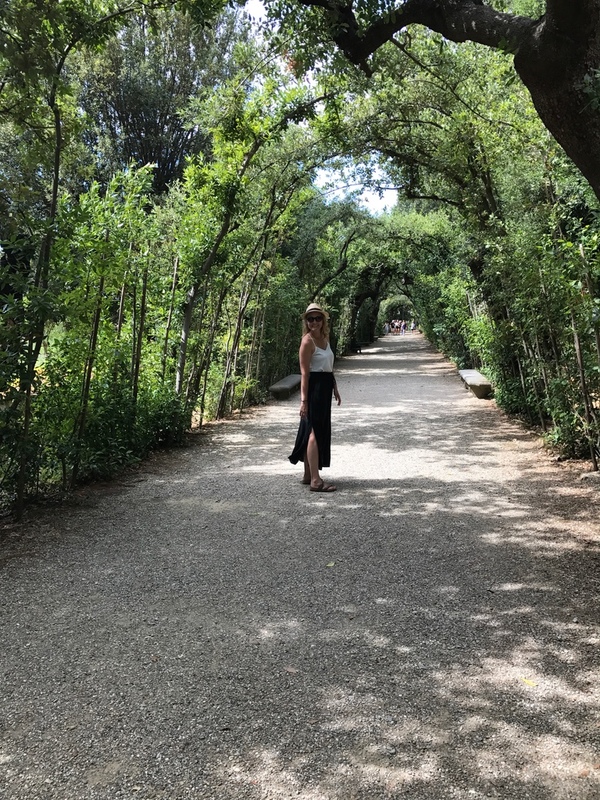 Ed sent it to us from Italy! But, you can buy it at Williams Sonoma!